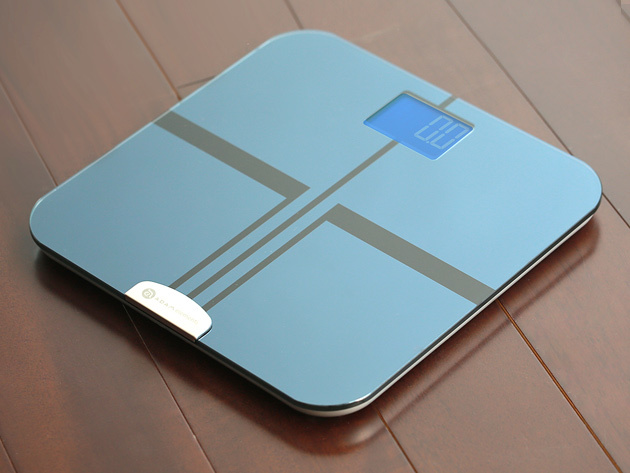 This scale not only analyzes your body’s weight, but it also shows your progress regarding body fat & muscle. In just a few weeks it’ll be time to loosen your waistband for Thanksgiving, but you don’t have to accept extra pounds without a fight. Weight is just one indicator of your health, and the number on the scale only gives a glimpse into your overall well-being. You need more metrics to see if your efforts at the gym and willpower at the table are paying off. The BF1 Body Fat Analyzer goes beyond pounds to help you stay healthy all season long. This scale not only analyzes your body’s weight, but it also shows your progress regarding body fat, muscle and bone mass, water weight, and overall body mass index. It syncs with the Apple Health app or the accompanying GoHealthy app, where you can highlight what metrics matter most to you and see your progress in an easy-to-read interface. Your data will sync effortlessly via Bluetooth, and you can even set up multiple users — it’s a great way to keep your whole family healthy over the holidays or create accountability between your friends. Usually, the BF1 Body Fat Analyzer costs $59, but right now you can keep tabs on every aspect of your health over the holidays for just $24.99 (57% off).